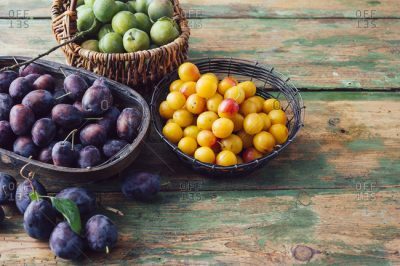 Plums and GreenGages – The taste of High Summer! The joy of growing and picking your own fruit! 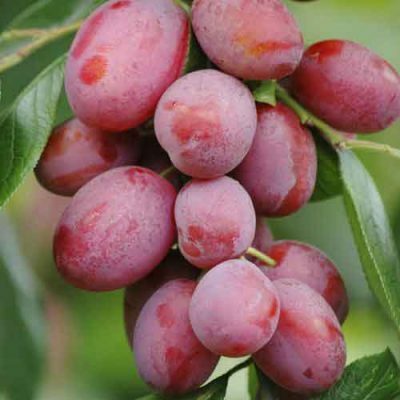 Plum Opal: Oval medium sized fruit, yellow with a purple flush and a strong sweet flavour. Middle of August, good reliable cropper. Partially self-fertile. Green Gage: The original old gage. Small very juicy round green fruit, with a rich sweet aroma. Produced mid-season, end July early August. Partially self -fertile. 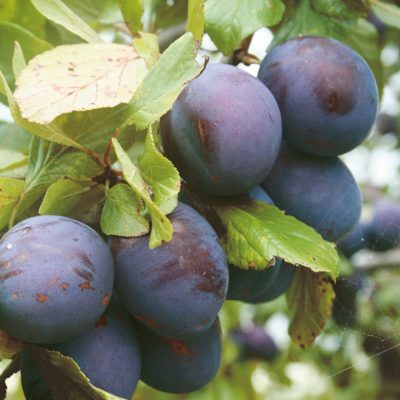 Victoria Plum: A firm old favourite. Medium sized fruits rosy pink, with blue bloom, sweet yellow juicy flesh. Harvey regular cropper. Dual use, cooking or dessert. Late August -early September. Self-fertile. Cambridge Gage: Green/yellow round fruit, very juicy sweet yellow flesh,. An excellent early gage, a prolific cropper. Early August. Pollinators Laxton gage, Merryweather Damson. 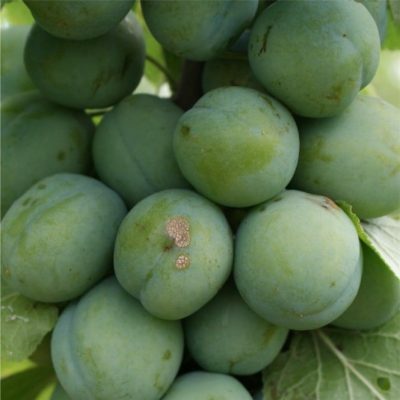 Plum Marjories Seedling: Enormous blue/black plums with blue/grey bloom. Yellow juicy flesh. Cooker, excellent bottling plum. 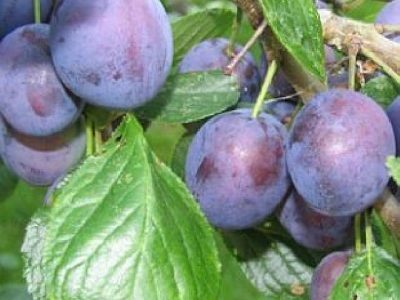 When very ripe easily good enough to eat straight from the tree, as a dessert plum. Late, end September into October, and the fruit can last on the tree into November. Self -fertile. 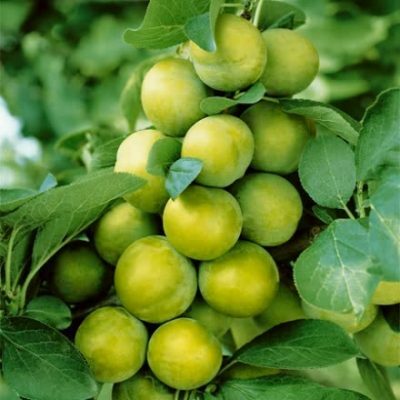 Laxton Gage: A large green fruit with yellow/green sweet flesh. Good cropper, Mid August. Self-fertile. The taste of High Summer. Enjoy! Now is the time, to make your selections, taste your way through different variates growing in friends gardens, taking notes of the ones you want to grow. Most come on dwarfing root stock, so are suitable for a small garden and a lot are self-fertile, so you don’t need the added room for a pollinator tree. Order your trees early autumn for winter delivery and planting. 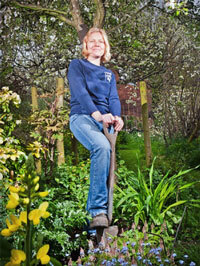 Top tip, Stone fruit like lime, so if your soil is heavier, then add some lime. 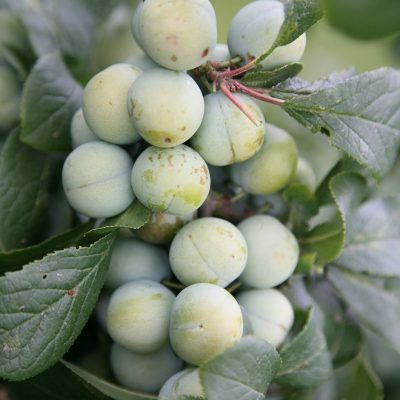 This is the time of year when the crop begins to ripen for early gages and plums are just around the corner. Enjoy! 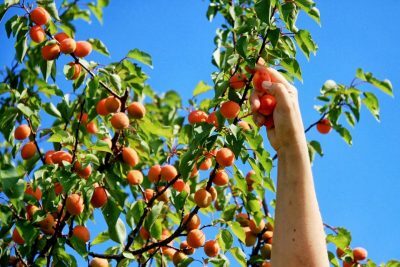 This entry was posted in Gardening Thoughts, Gardening Tips and tagged plums and gages on July 31, 2018 by Emily.